March 24 marks 20 years since the start of the NATO bombing of Yugoslavia. For some, it is shock, pain, grief and bitterness of loss. For others, a victory, which, however, cannot be called glorious, the Alliance Balkan planes have too barbarously ironed. Then the NATO anti-Serb operation “Allied Force” almost failed. And all because of one battalion of the Russian Airborne Forces. In June 1999, several hundred fighters on light armor made the famous “shot at Pristina”, which confused all the cards to the NATO members. The correspondent of “MK” managed to talk with a man who was not just a witness, but the curator of that legendary cast. This is the former military representative of Russia to NATO, and now deputy chairman of the State Duma Committee on Defense, Colonel-General Viktor Zavarzin. “In that setting, one battalion was enough.” The main thing was to preempt NATO members and take the airfield first. What we successfully did. And then – it was not a hastily congregational squad of recruits boys, and already experienced fighters. All of them got experience of participating in a peacekeeping operation in Bosnia. Each was carefully selected and instructed. –Why exactly the airfield “Slatina” in Kosovo? –Take the airfield – these are the basics of military art. 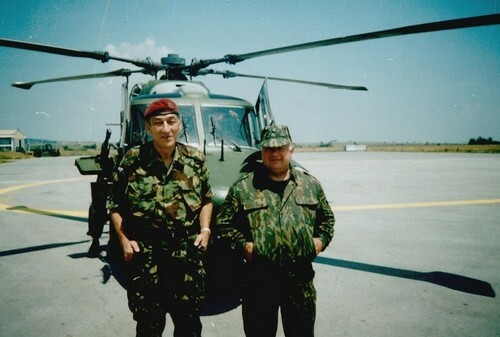 In those days, the Slatina airfield was the most important strategic object in Kosovo. The supply of any group of troops in this region could be carried out only by air. Accordingly, who controlled the airfield, he controlled the situation. “We really broke into the airfield right in front of NATO. All literally taken aback! In general, our march in Pristina was preceded by a whole story. – And it began, as usual, in the offices? “You could say that.” Even before the bombing, when it was already felt that cool porridge was about to be brewed, I, as the chief military representative of Russia, met with NATO General Klaus Naumanni – the chairman of the NATO military committee. By the way, a very competent general, “natocentrist” to the bone. -Exactly! It is clear that he carried out the decision from above. And they “lowered” the United States. And whoever did not agree, the question was “finished off” with those. I remember one episode when I, before I left, decided to visit Nauman and tell him everything I thought about him. There, I stumbled upon a high-ranking French officer. He watched live, as one of the NATO bombs landed in a Serbian cigarette factory, everything was burning. I remember throwing this Frenchman: “See what your bombardment leads to ?! Where is the Yugoslav army against you, and what objects are you hitting? ” He was silent, only reddened. “He really had nothing to answer.” And what about the NATO military functionary Naumann? – I, too, then threw myself right out of the door: “Klaus, you are an authoritative officer, but now I will not give you a hand! Because you did not act as an officer! You did not listen to me then, and now look at what is happening – Yugoslavia and its inhabitants are being turned into dust! ” He was very red in the face, it was evident that he was burning inside, experiencing. I slammed the door and left. -Right! True, before that, in the offices, “had to knock ourselves on” all the same. The bombing, which lasted almost two months, ended, the conflict turned into a political mainstream. At that time I was a member of the working group with General Leonid Ivashov, and we were negotiating with the NATO side. -Not that word! We had to fight in order not to split up Yugoslavia in any way. As a result, the famous UN Security Council Resolution 1244 was signed. According to it, Serbia remains a free republic, and Kosovo and Metohija remain in its structure. But the United States suddenly intervenes, and everything turns upside down. What did we offer? So that NATO peacekeepers stand along the Albano-Yugoslav border. This means that Kosovo and Metohija remain part of Serbia. But everything turned out differently. NATO did not go anywhere. They actually occupied Serbia, and Kosovo was given to Albanian terrorists. Then we decided to enter Pristina and seize the Slatina airfield faster than the NATO forces. –And how did the Americans react when they learned that you marched on Pristina with an accelerated march? – Began a real tantrum! The United States Special Envoy Strobe Tallbot in Moscow beat his fist, stamped his feet and shouted: “Why is your battalion coming?” Who allowed you? You have no agreements! ”. At the same time, they unloaded two British battalions under the command of General Jackson in Thessaloniki and threw these forces on Kosovo. Although, by the way, we were solemnly assured that this would not happen. Lied, of course. But we are ahead of NATO. And when they came and stumbled into our valiant paratroopers at the airport, they heard only: “Problems know, here is Russia”. –Viktor Mikhailovich, what do you think, why did NATO not decide to storm the Kosovo airfield occupied by our troops? “Probably because they knew that we would act on military instructions.” And we were really ready for any eventuality. In general, this shot made a noise in the headquarters. General Wesley Clark, commander-in-chief of the NATO group in Europe, when he learned that we and the battalion had broken through to the airfield, suggested that the commander of the NATO grouping in Yugoslavia, General Jackson, shoot himself. Right and said: “Take a gun and shoot!”. After I learned that Clark wondered why the Russians did not open fire. But Jackson replied that he had not given it back and would not give such an order now, because he does not want to be the instigator of the third world war. – Did the NATO generals really decide to revenge for their failure, even by petty provocation? -Not. When we already occupied the airfield, there were no provocations. But before it was planned. Much later, I learned that the same Clark had assembled a special group of saboteurs to cut off our path. But they hesitated, and we already slipped. However, I repeat, if there was any inclination, the answer would not be long in coming. We had a clear plan, and under no circumstances did we intend to move away from it! –Viktor Mikhailovich, confess whether you were surprised by such an absolute success of the operation? The task is completed, no loss. “I still admire the heroism of our paratroopers, their professionalism, loyalty to the oath and military duty. We proved once again: the Russian soldier, even greatly weakened by the hard times of the 90s, was able to carry out a forced march powerfully and beautifully, despite the fierce resistance from Washington and Brussels. –It’s hard to deny the meaning of that march. Although it would seem that the entire battalion on a couple dozen armored personnel carriers. 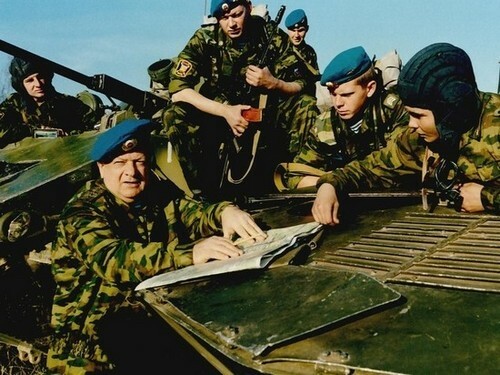 “In general, I am confident that in the world military history the Pristina operation will forever remain an example of high professionalism, skillful organization of interaction of forces and means, courage and resilience of Russian paratroopers in the face of a formidable opponent, ability of our fighters to perform difficult tasks in the most difficult conditions. Including, during peacekeeping missions. “And what, apart from the global amazement of such a bold and successful Russian operation, gave us a“ throw on Pristina ”? – The most important thing is that we supported the Serbs morally and physically. Prevented the destruction of Orthodox churches and historical monuments. We tried to act as a guarantor of preserving the territorial integrity of Serbia as our march. At the same time, we did not just stand and hold some frontiers. We really were peacemakers. In Kosovo, for example, they deployed a hospital and treated everyone – military and civilian, Serbs and Albanians. “But still, Russia was forced to leave Yugoslavia, which was torn to pieces. –Yes, for a number of reasons, we had to curtail our participation in peacekeeping activities. And all because the leadership of the Alliance did not want to consider the peacekeeping operation in Kosovo as a joint operation Russia-NATO. – Couldn’t the Kremlin take a tough position then? -What are you talking about? This was the 90s! Our political, economic and military situation was deplorable! Yes, and political will, I confess, was not enough. The same US representative Talbot, as I said, shouted, threatened us in our own capital. He even tried to put pressure on us! Yes, today Russia is strong in all respects, especially in the military. And I responsibly declare to both NATO and the Americans: we will not abandon Serbia and our brotherly people! –Frames received our world fame, where our airborne battalion was solemnly greeted. What emotions did it have? –When moving along the road towards Pristina, the sight around was terrible: destroyed houses, roads, hospitals, schools. Towards a stream of refugees and columns of troops of the Yugoslav security forces, which, by agreement with NATO, have already begun to withdraw their units. But as soon as we entered Pristina, we were immediately greeted by flowers, delight, smiles, cheers and greetings of the Serbs. I remember how young girls climbed the “beteers”. The greeting “Bratki!”, Which has already become customary, was heard. At that moment I involuntarily remembered the shots of the front-line newsreel of the last period of the Great Patriotic War. That is how we met our soldiers in victorious 1945 in Europe. –Was those days, on the contrary, were dissatisfied with the fact that Russians enter Pristina? – Part of the population of this town were Albanians. And they, of course, were not thrilled with our appearance. Frankly, we even feared some shots and mines on the roads. But everything worked out. -What did you see the outcome of the entire NATO barbaric campaign in Yugoslavia? Was there a feeling that nothing could be changed and the world would no longer be the same? –We, Russian generals, along with representatives of the government, warned NATO members about the consequences of their reckless policies in the Balkans. But they did not heed, and a precedent was created. The aggression in Yugoslavia gave a start to the United States and its allies power policy to change undesirable regimes. And the consequences were not long in coming: Iraq, Libya, Tunisia, Egypt. “Why do Americans need it?” Superpower can be without stirring up conflicts. – The United States always wants to establish its power right to interfere in the internal affairs of any state without a decision of the UN Security Council. Plus – to impose its leadership throughout the Euro-Atlantic area. As for the Balkans, the United States, in fact drawing Europe into an unfavorable war for them, “tied” them up with blood. Now there is a huge military base and the United States can dictate its will to all. –USA and Western countries are irritated by the independent policy of Serbia and the non-recognition of the status of Kosovo. Therefore, they are pushing the opposition and fascist hooligans to unrest. And the Albanians are trying to create their own armed forces in Kosovo. However, the agreements between Belgrade and Pristina are not implemented. The Kosovo authorities do not intend to create Serbian autonomies on the territory of the province. We are in favor of not making the Balkans once again the arena of confrontation. I am sure that the Serbian people and the leadership will be able to cope with this situation. And our task is to support fraternal Serbia. Our position on Kosovo remains unchanged; no one has yet canceled UN Security Council resolution 1244.